Do you know what ingredients are in your mainstream supermarket bought hand wash? Try this QUICK low tox recipe! Simply add castille soap, essential oils & water to a foaming handwash bottle! 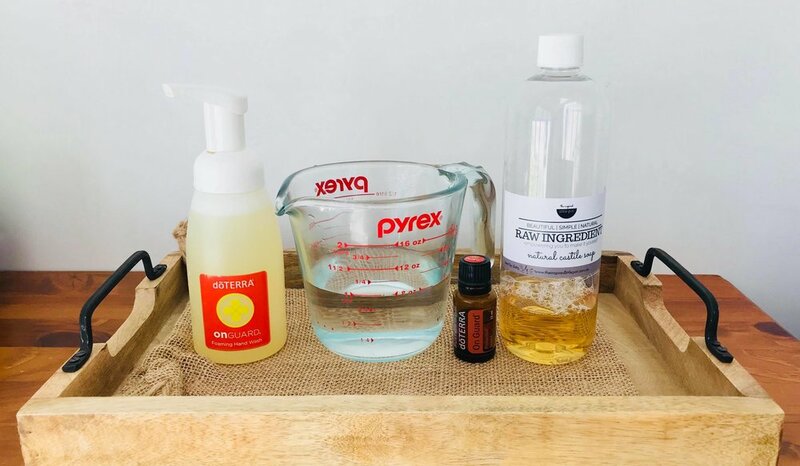 You can add a little carrier oil if you need some extra nourishment. • Top up with water! Our Onguard Protective Blend not only KILLS germs, but BOOSTS your immune system at the same time! What mainstream product does that!